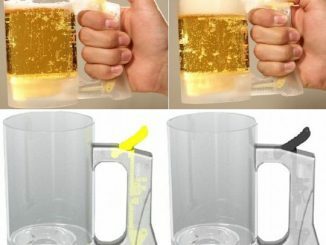 Although this Elevated Beer Tasters Set was designed to enhance beer, its futuristic look is very aesthetically pleasing. Its amazing when form and function come together with such impressive results. 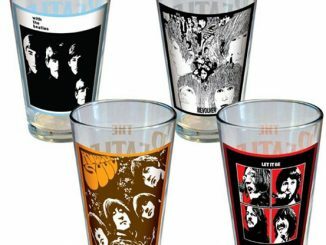 These glasses are hand-blown by artisans in Italy from lead-free crystal. 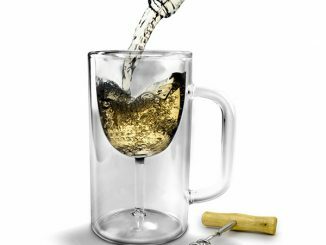 They feature a conical bottom that catches the initial splash of the pour and delicately leads the head of foam up to the top. 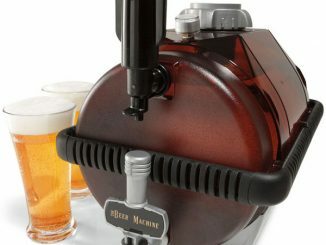 There is a glass with numerous angled ridges that promote aeration, making it optimal for hoppy IPAs. 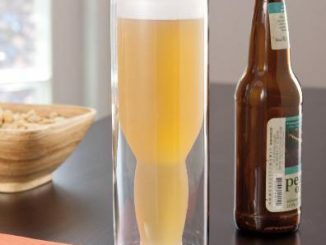 There is a tall, slender glass, ideal for pilsners, that enhances and maintains carbonation. 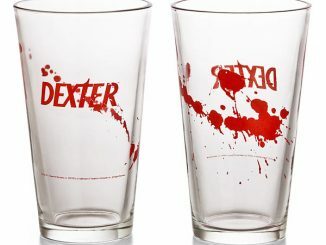 Finally there is a pint glass and a glass to perfectly fit a 12 ounce pour. We don’t recommend drinking before attempting complex geometry or chemistry. 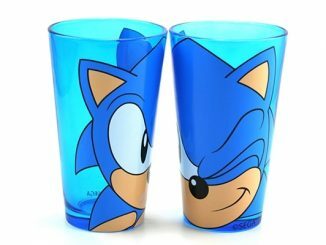 But we do recommend drinking from these beer glasses, which have been thoughtfully designed with angles and shapes meant to enhance your brew’s unique makeup. A conical inverted bottom catches the initial splash, gently leading the head of foam up to the surface. 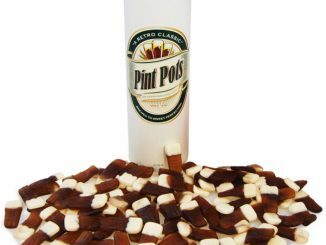 For pilsners, a slender, tall body enhances and maintains carbonation. 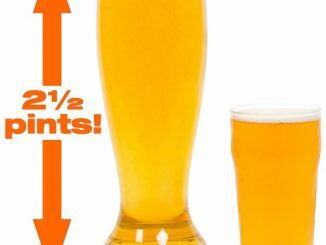 Hoppy IPAs get a shape that promotes aeration, sending it on a roller coaster ride of angled ridges. 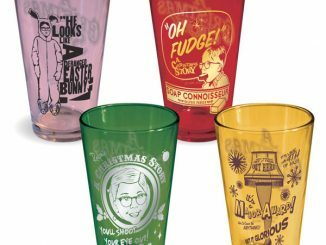 Rounding out the set: glasses that fit 12-ounce and pint pours just right. Designed by Daniele ‘Danne’ Semeraro. Hand-blown from lead-free crystal by artisans in Italy. 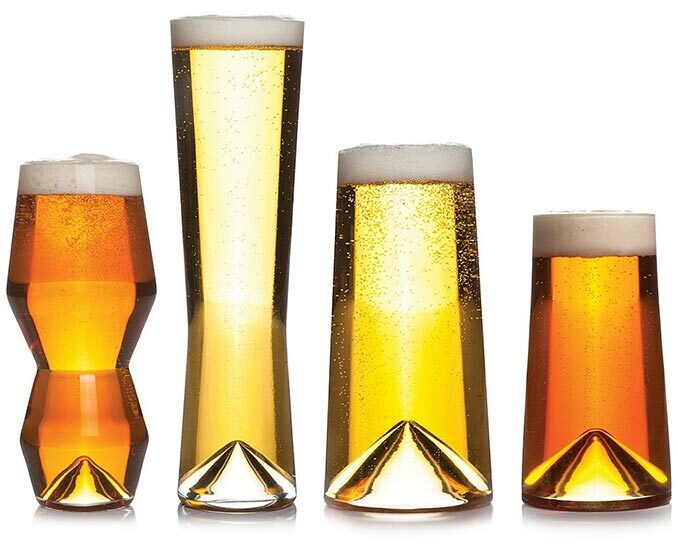 Buy the Elevated Beer Tasters Set for $100 at Uncommon Goods. 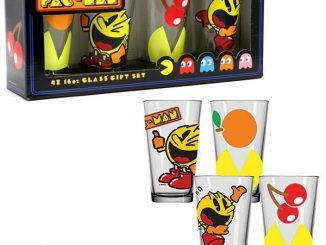 These futuristic looking beer glasses would go great with the Lando Dinnerware Collection.